Laurie here from Stamping Up North sharing an Easter card today. 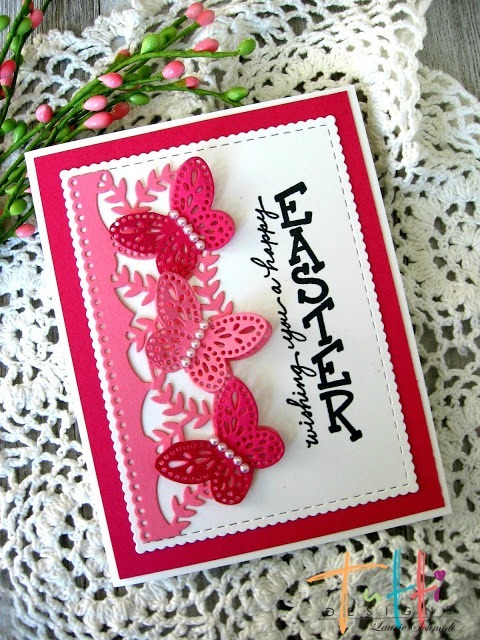 I used 2 of my favorite Tutti dies, the Butterfly Strip and the scalloped rectangles. I cut the butterfly strip out three times in two shades of pink, and cut off some of the butterflies to adhere onto the strip. I found an old wood block sentiment from my stash that I feel really compliments the strip...I like that it's vertical and fits perfectly next to the butterflies. I also added some tiny pearls to their centers. 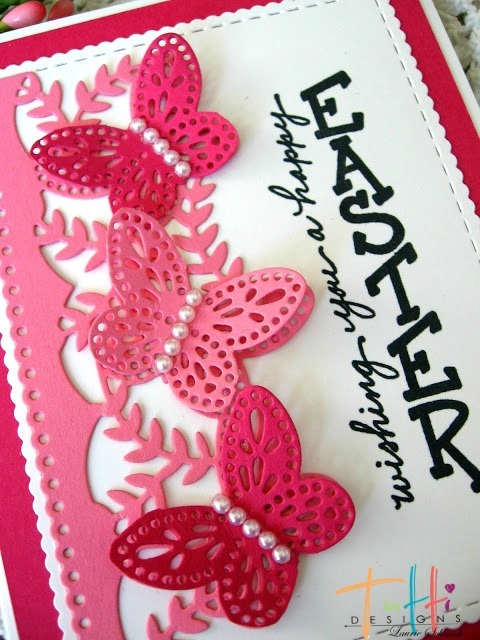 Beautiful Easter card Laurie! Hard to believe Easter is almost here ... wasn't it just Christmas? LOL Thanks for wonderful inspiration! LOVE your pretty butterflies! Great job! Laurie, this is so beautiful! The stamp quote is perfect with this die! This is just gorgeous and in my favourite colours!